Catalyst Global Conference South Africa. On the 4th – 8th November 2018, members of the Catalyst Network gathered in South Africa to celebrate the 30th anniversary of Catalyst Global. 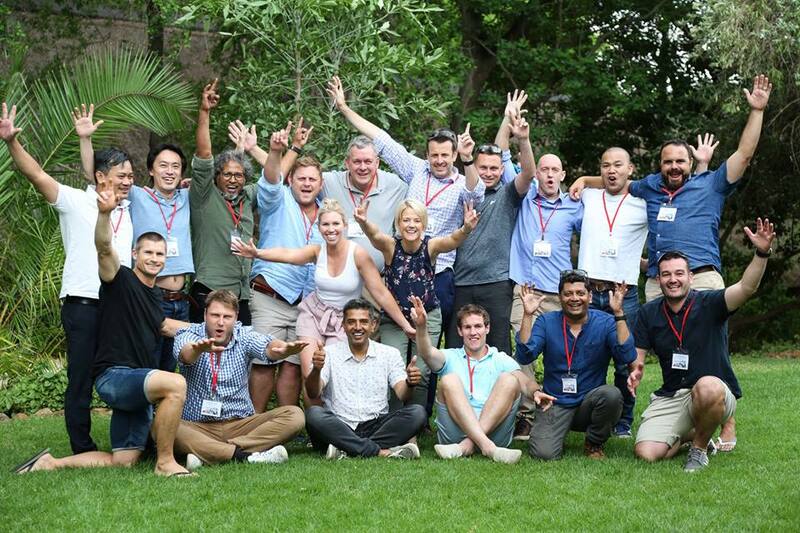 The conference brought together over 45 of the world’s best team building companies representing 60 countries. Team Up Events were proud to attend as the exclusive partner for New Zealand. The bi-annual global conference provides a unique opportunity for the worlds best team building companies to come together and leverage the expertise, experience, and knowledge within the network. The driving force behind the conference is to ensure that both individually and collectively, Catalyst Global partners remain at the forefront of the team building industry in their respective markets and globally around the world. Guy Baker, CEO Catalyst Global . The four day conference included a host of internationally recognised key note speakers, the launch of several new products, discussions around best practice, current trends, and more, before finally concluding with the much anticipated Global Awards. The Catalyst Global Awards are considered the ultimate recognition within the network acknowledging high performance and contribution. Team Up Events were humbled to be awarded the Global Recognition Award for outstanding contribution to the network. Stu Robertson, Managing Director Team Up Events. Team Up Events winners of the Global Recognition Award for contribution to the industry and network as a whole. Team Up Events will host the Catalyst Global Asia Pacific Zone Conference in Queenstown during October 2019, the conference will see over 20 delegates from 9 Partners come together for 3 days to discuss all things team building. 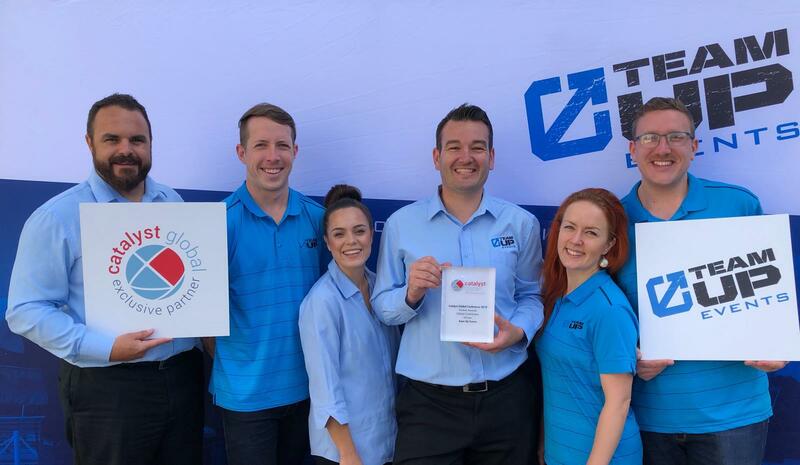 Catalyst Global is an award-winning business, established 30 years ago, which uses the power of intelligent game design to create team building activities that positively affect the culture of teams, with proven, lasting results. Catalyst Global products are sold, and delivered through the Catalyst team building partner network, the largest network of its kind with representatives in over 50 countries.